Bicycles: I love cycling but it's a different proposition when bikes are your main transport mechanism. That makes how you think about going out different and it changes the interactions with the environment, other people, and, perhaps most importantly from someone with a US perspective, cars. In Amsterdam, cars have the least right-of-way. Pedestrians and bicycles always get preference. Once I was walking along Prinsengracht and coming toward me was a cyclist. He was traveling at a leisurely rate in the middle of the narrow lane along the canal. And following immediately behind him was a car. He made no attempt to get over, didn't speed up, just kept meandering his way along the canal. The car driver didn't look harried or annoyed. Such a scene would be impossible in the US, at least where I live. Cars are always assumed to have the right of way and woe to cyclists who are too assertive about their right to the road. 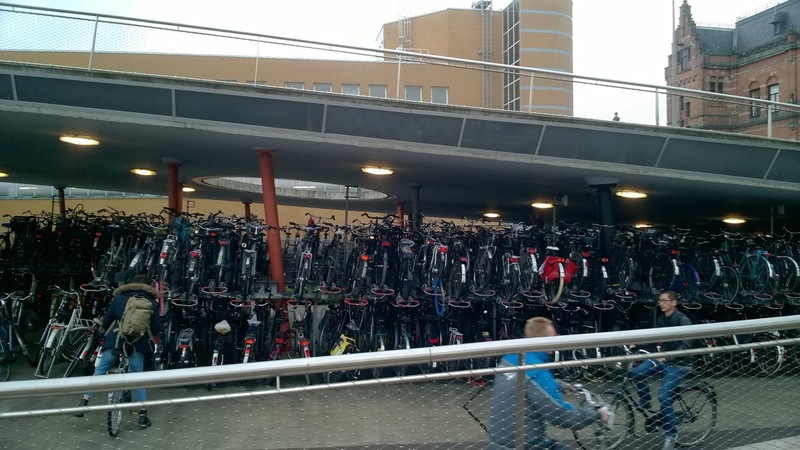 We have much to learn from the Dutch embrace of bicycles. Coffee: I came to love the way the Dutch serve coffee. I've been set in my ways about the proper way to enjoy coffee. It involves freshly ground coffee beans, a filter, 200 degree water, and a pot to catch the pour over or drip coffee. I had that kind of coffee in Amsterdam, too, and when it's done right it's very good. But going into a cafe in the morning and getting a black coffee usually meant a small cup with a frothy brew and a stroopwaffle or cookie on the saucer. It was a delicious way to start the day. Cheese: It's kind of weird but I'm going to miss the cheese shops. I read somewhere that no matter where you are in England, you're never more than a few blocks from a pub. That seemed to be true when we visited there. The Dutch version must be that no matter where you are, you're never more than a few steps from a cheese store. The fresh, rich Dutch cheese that is available from any of the shops puts American cheese selection and quality to shame. I'll miss the easy access to one of my dietary staples. it's possible to drive for nine hours and still not have left the state. I suspect that's not true about the Netherlands. Amsterdam is incredibly dense. Going from one end of the city to the other doesn't really take very long by bike or the convenient public transportation. That makes it easy to pop out for a coffee or beer. Non-cycling transportation: The train system is extensive, inexpensive, and easy to use. Getting from Amsterdam to Groningen was simply a matter of showing up, getting a ticket, and waiting a few minutes for the next train. It wasn't just one train a day but many trains and if I'd missed the one I thought I'd catch (which I did when the journey to Centraal Station took a bit longer than expected) I could wait a few minutes and get another. The Dutch like to complain about the trains missing their scheduled arrival/departure time. I did experience some of that. One train was about 20 minutes late. But the Dutch system makes Amtrak look very, very, very anemic and pathetic. I've never been a fan of car culture and after seeing what can be done to shift the focus from cars to human powered travel, now even less so. "Where's the nature? 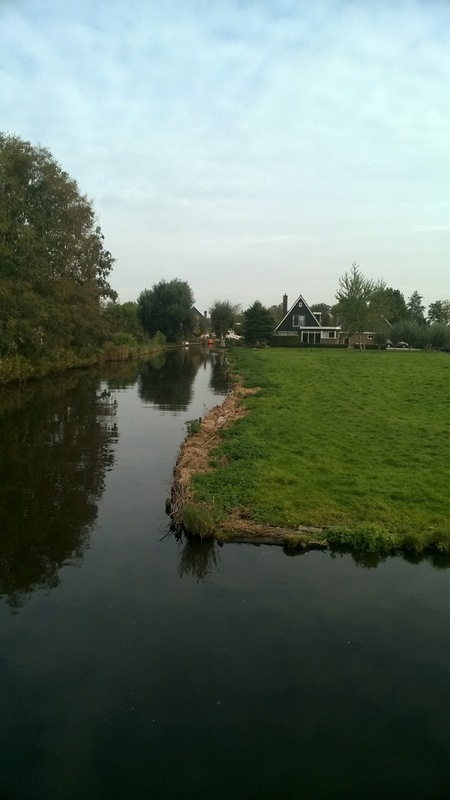 ": One thing about the US that the Netherlands can't match is access to nature. In a book about the Netherlands, I read an unattributed saying that went something like this: God made the world but man made the Netherlands. It was through human effort and engineering that this country exists. Nearly all of it sits on top of marshes and former sea floor. Centraal Station sits on artifical islands where there used to be open water. Schiphol Airport is on reclaimed marsh way below sea level. From an ecological pespective, it's all a bit artificial. There is nowhere in the Netherlands where you can get the feeling of wilderness that you can in US places like Glacier National Park or even some spots along the Lake Superior shore line. It was a fabulous holiday. I've always been particularly proud of my Dutch heritage. I suppose much of that can be traced back to my childhood when there was a pervasive feeling throughout our little west Michigan community that we were special because of our Dutch heritage. 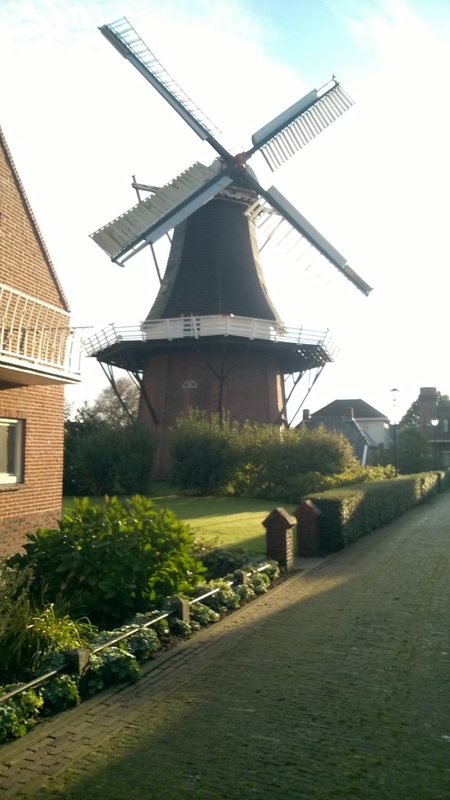 So even though I'm thoroughly American, I've always liked the fact that my ancestors came from the liberal, tolerant, can-do Dutch. G.K. Chesterton once said that "travel narrows the mind." I find that my mind has been narrowed, in a good way, about the Dutch. Prior to the trip, I had read several books about Amsterdam and had examined my Lonely Planet guide quite closely. I had a wide picture of what it would be like. But none of it really prepared me for the reality of the city - a big, chaotic, anything goes place yet one filled with many regulations and expectations that one shouldn't ignore. It's alive and human. And I'm glad I had the chance to experience it.